Another photo taking advantage of Calatrava's design for the new train station. 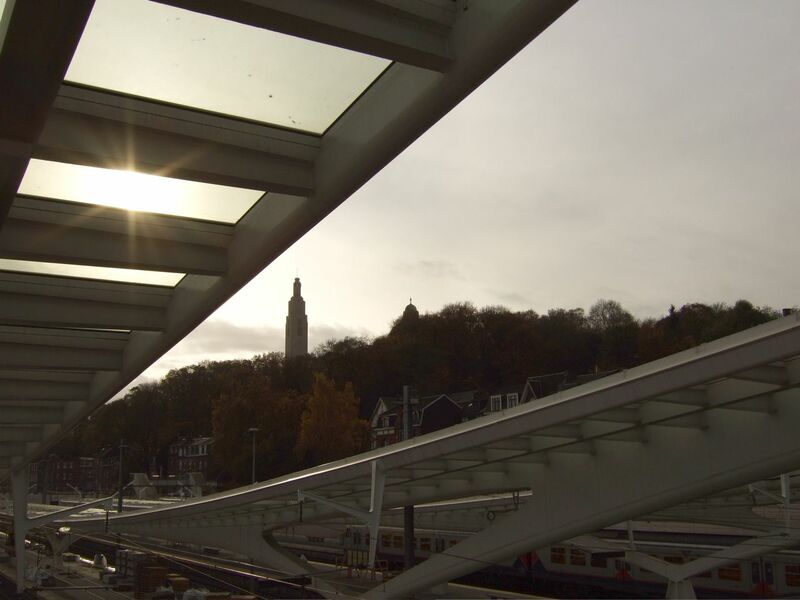 The sun shines through the glass roof panels as it lights up the hill of Cointe on an otherwise dark and cloudy day. The old city through the new structure is marvellous. That's some snazzy architecture! Geat light, too!